During the entire history of technological development and progress there has always been an odds between technology and the state of the natural world. It is no secret that through the search for and generation of energy, starting in the industrial revolution, has had dramatic negative effects on the earth. Global warming, de-forestation, and the extinction of many species have been only a few aspects of this disastrous result. This debate usually occurs on a smaller level, affecting specific issues as they arise. One of the most recent and publicized is the proposed drilling for oil in the ANWR (Arcitic National Wildlife Refuge). The idea of refuges is that there can be no development made in these areas and that they cannot be used to acquire capital. There are like reserves for all the species that we have run out because of our imperial self-interests. 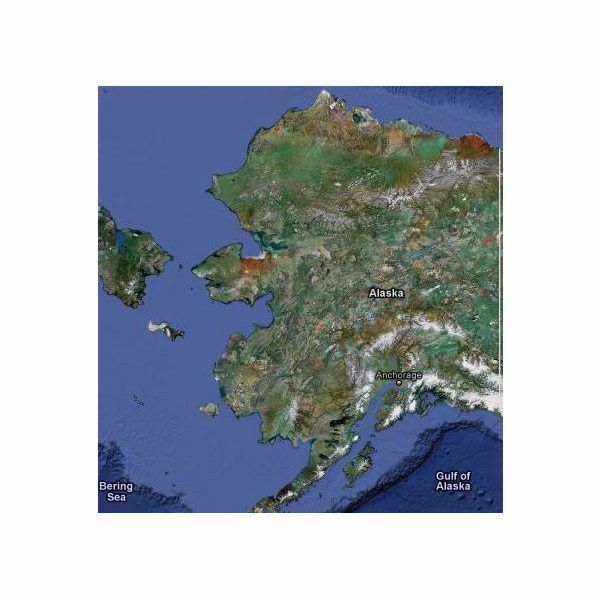 Now they have proposed drilling in this large area in Alaska as a way of cutting down our dependence on foreign, often hostile, sources of petroleum. Though it may necessary to curb trade with these areas, especially in volatile fields like oil, this is in no way the best solution. The Arctic National Wildlife Refuge is a 19,049,236 acre piece of land found in the North Slope area of Alaska. It was set as a protected area in 1960 by Secretary of the Interior at the time, Fred A. Seaton. Eight million acres of this selected segment of the landscape is in the National Wilderness Preservation System, a construct that is intended to protect pristine and untouched land areas. The idea of this is to keep actual wilderness lands, not just protected forest, in the way they are naturally without human interference. The rest of the refuge has different management classifications, such as "Minimal Management, but all are highly protected from development and trespass. There is a huge contrast of animals living there, where it is quoted as having six completely different ecosystems spanning about 200 miles north to south. Ironically the area is also rich in petroleum. The question as to whether or not drilling here is a positive solution to our oil problems since the Carter administration. In many reports organizations that help support large-scale employment, including groups like the Teamsters, were in support of drilling in ANWR because it would create a large amount of newly formed jobs. Wharton Economic Forecasting group stated that more than 735,000 jobs would be created in this project, yet later estimates were closer to 60,000. There have also been arguments from those within the state, namely U.S. Senator Frank Murkowski, who say that the land is not worth saving as pristine. Murkowski is quoted in 2004 as having said," It’s flat, it’s unattractive, it’s not pristine." This was in a speech supporting the ANWR drilling which would destroy the regulated quality of a large portion of this area. The argument here is that the area is not as important as many have stated, and really all those creating such a fuss about it are radical environmentalists and not normal people. Another key point made by those who want to open up ANWR is that only 8%, or 1.5 million acres, is what is being proposed. This would mean that the vast majority, 92% would remain perfectly intact. This stated the main and most pervasive point to be made is how much oil could be found there. The North Slope oil production area intact right now, which has provided 16% of the domestic oil, is in vast decline right now. Supporters believe that this area is the best place that we may find a giant oil reserve for domestic use. With imported oil becoming too costly (with $19.9 million being spent on foreign oil an hour) there is no way that we can ignore possible domestic reserves, so they say. Arguments against this destruction of ANWR are much more common among average citizens, and much more simple and straightforward. The entire refuge, including the proposed 8%, is critical for wildlife that depends on that area. Degradation of this kind would rip land used by polar bears and around 180 species of birds, not to mention a vast number of migrating animals. Any kind of tampering like that is desired would completely defeat the purpose of ANWR (Arctic National Wildlife Reserve). We have already eliminated almost all the pristine and wild areas of pure nature in the country and it would be a terrible fate if this one started to go as well. The point that is really being made here is that there is not exactly enough benefit for the exploration in ANWR. The likelihood, conservationists argue, is that there would be absolutely no effect on oil prices. If the drilling was allowed it would still take 10 years for the collected oil to hit the market and almost 20 for it to actually hit peak production. Even at it’s peak it would be less that 0.8% of the world’s oil. Many opponents point out that the effect on the land will not be as minimal, and benefits not as profound, as it was stated by supporters. Many reporters, most notably conservative Fox News Channel pundit Sean Hannity, quoted that only 2,000 acres would be altered and the total oil reserves would "match that of Saudi Arabia." All of this proved to be false, leading most people to distrust the supporters as a whole. The simple answer is that the U.S. will most likely support drilling in ANWR. This deduction is based on the history of the U.S. supporting corporate interests over environmental and social ones. With the "war on terror" distorting everyone’s views of commerce with the middle east the likelihood is that politicians and their supporters will do anything to cut down on a foreign dependence on oil, even if that thing is destroying our natural resources. The important thing is for the general public to oppose this openly, and make sure that their voice gets heard. By boycotting companies that will be profiting off of the ANWR drilling, and putting pressure on politicians in your area, you can help to prevent the destruction of one of the last pristine areas in the U.S. The effort to remove the dependence on foreign oil should only surround the development of environmentally sustainable energy sources, and should not regress into more natural destruction in the name of oil.